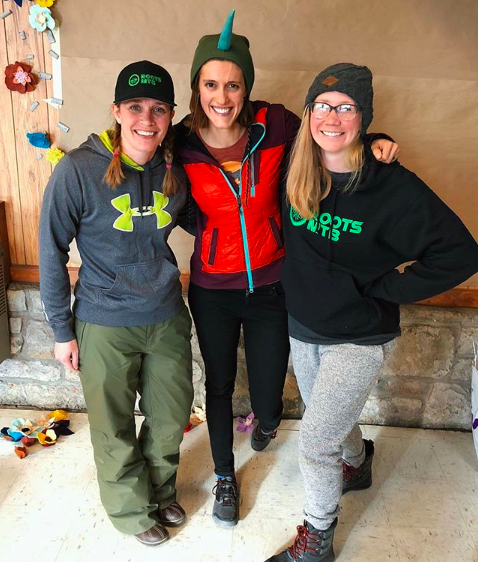 I’ve been wanting to give motivational speaking a go for awhile — it’s seems like a perfect combination of the themes I tackle on this blog and all the yammering I do on our YouTube channel — so when the opportunity came up to speak the Kansas City Women’s Dirt Summit, I jumped at it. I felt like it would be a great way to give it a try in a relatively low pressure environment, and if I hated it — well I never had to do it again. Even if it were a total disaster, I was sure I would at least learn something. Luckily it wasn’t a total disaster (it actually went really well), but I still managed to learn a thing or two. 1. There’s a reason there are so many books/blogs/etc. encouraging people to step out of their comfort zones. And that’s because leaving your comfort zone seriously requires some encouragement. I wasn’t terribly nervous about the actual speaking part, but there were moments — especially when I was insanely busy leading up to this — that I was thinking “why, syd, why do you need to add public speaking to the list of things that you do.” I mean, I’m pretty good at writing blog posts — why don’t I just stick to that? Why mess with a good thing by trying to talk about it in front of a bunch of perfect strangers? Of course, the real reason there are so many books encouraging us to step out side of that comfort zone is that doing so is incredibly rewarding. And that was definitely the case here. Once I committed to doing it, and embraced the challenge of writing a speech, I LOVED IT. And I’m really glad I forced myself to try something new. 2. I learned that talking in front of strangers does not really bother me. In fact, I enjoyed it and wasn’t that nervous at all. 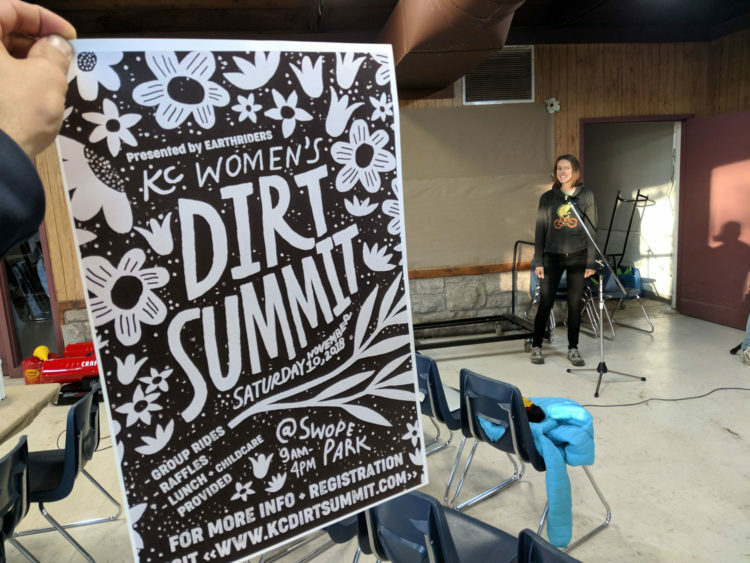 It probably helped that I am already accustomed to spewing my entire life onto the internet, and it turns out (surprise surprise) that the women of the KC Dirt Summit were an overall more encouraging, supportive, positive audience than your average 15-year-old on YouTube who has an issue with how my voice sounds or how I tie my shoes. I think the real lesson here is that, while Youtube and blogging and social media are great and serve a purpose, good old fashioned live human being interactions are still probably the most powerful way of imparting a message. And I want to make space for more of these sorts of opportunities. 3. Turning a blog post into a speech turned out to be a lot harder than I anticipated it was going to be. I really wish I had started earlier because I was still tinkering with my conclusion half an hour before I was supposed to start speaking (one could argue that this might have happened regardless of when I had started writing my speech) and there was a lot of hand-wringing and wondering why something that worked so well on the page so epicly did NOT work when spoken out loud. Lesson — these are two very different mediums, and I didn’t realize how different until I tried writing a speech. 4. I should have practiced more. More specifically, I should have practiced standing up, instead of sitting down in the car while we drove the ten hours to Kansas City, because maybe if I had practiced standing up I would have had at least some clue of what to do with my legs and arms while standing in front of a crowd for 45 minutes. As it were, I ended up catching myself standing in some strangely contorted positions, and the crowd was probably wondering if I really had to pee and/or if I were undergoing some sort of exorcism. 5. I definitely approached this experience with the right attitude. By looking at it as a learning opportunity, rather than say, a test to see if I was any good at public speaking, I gave myself the space to make mistakes, learn from them, maintain a positive attitude and just have fun. The end result of this was probably both a better speech and a better overall experience. Huge thanks to Ivy and all the KC Lady Dudes for getting me out there! Dude, you were standing just fine. I never once wondered if you had to pee. I hope we see you again around KC sometime the trails are a little friendlier.